America's central bank finally appears ready to hit the runway for takeoff in September. 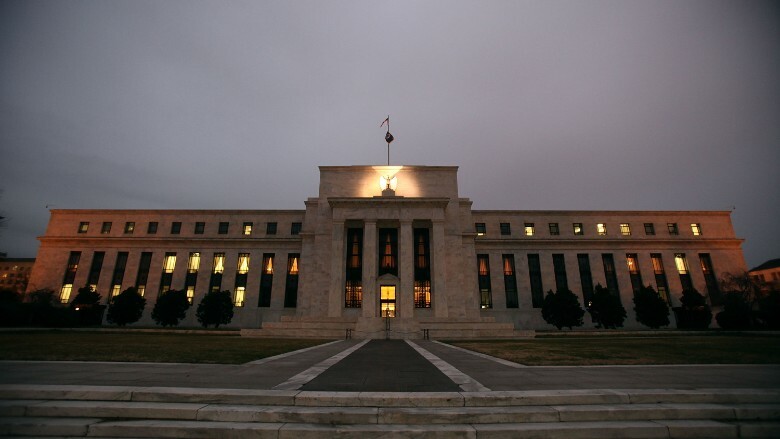 The Federal Reserve is expected to raise its key interest rate next month for the first time in almost a decade. The move would signal that the U.S. economy is healthy. Most experts expect a Fed rate hike in less than six weeks, on September 17. But there are contrarians out there. Among them, Goldmans Sachs (GS) announced in June that it believes the Fed won't raise rates until December. Here are 5 key factors that could give the Fed pause and consider a delay in the rate "liftoff." More importantly, even if the Fed does lift rates in September, these indicators could make the bank hesitate on more rate hikes in the coming months. The last two reports on wage growth were mediocre. Average hourly earnings rose only 2.1% annually in July -- well below the Fed's 3.5% target. Another measure, the Employment Cost Index (ECI), was very weak in July. Wages are important because they are a key yardstick of inflation. No wage growth is a warning sign for inflation, some experts argue. "Lack of wage growth will give some monetary policymakers pause," says Lynn Reaser, an economist at Point Loma Nazarene University in California. Fed committee members have said they don't need to see wage growth before a rate hike -- but they really want to see some pick up. The next report on wages comes out September 4. Oil prices are back down near their lowest point this year. A barrel of oil is $43.87. The low for this year is $42.43. Low oil prices are a calamity for many economies. For the United States, oil prices are weighing down inflation, which the Fed wants to see move upward. America's inflation measure was flat in June compared to a year ago, mostly due to gas prices being down 23% in the month. "If they don't do [a rate hike], it's going to be more market related and more international related," says Sam Bullard, senior economist at Wells Fargo in Charlotte. Bullard believes the Fed will raise rates in September. The Fed is America's central bank, but its action will send ripple effects across the global economy. And outside the U.S., things are already looking bad. China is slowing down, emerging markets are suffering from the strong U.S. dollar and Europe is still working through the Greek debt debacle. Given such a weak international outlook, the Fed might fear a boomerang effect: does a rate hike hurt the global economy even more, which then weakens the U.S. economy? All we know is that the Fed has dropped more and more hints this year that it's keeping a close eye on the outlook overseas. The strong dollar is hurting a slew of American companies with operations abroad, which negatively impacts U.S. trade. The Fed will better understand the slowing global economy's impact on the U.S. on August 27 when the second estimate for economic growth between April and June is released. American spenders stayed home this spring, a sign that people aren't feeling that great about their economic well being. Spending declined between June and May, and figures from previous months were revised down. Economists thought Americans would spend more once the weather warmed up this spring and summer, but that hasn't happened. Retail sales come out Thursday and will offer the latest pulse on how Americans feel about the economy. Job growth has been good but not great this year. However, if it starts to go south, that could make the Fed wait. The August jobs report comes out September 4. And the Fed's missing link -- inflation -- will also be closely watched. The next reports on inflation come out August 19 and September 16 -- the day the Fed starts its meeting to decide if it will raise rates.